The New Tang Dynasty Television (NTD Television) “International Chinese Vocal Competition” is one in a series of international cultural and arts events sponsored by NTD Television. The aim of this competition is to promote traditional vocal arts of pure authenticity, pure goodness, and pure beauty, and provide a world-class arena for all Chinese vocalists to showcase their talents. The Competition will be hosted by NTD Television. The Competition proceedings will be broadcast around the globe on NTD Television’s networks and on its social media platforms online. This year's International Chinese Vocal Competition has specially invited vocalists with the world-renowned Shen Yun Performing Arts to serve on its panel of judges. One of China’s most celebrated tenors of recent decades, Guimin Guan was among the first artists to be named a “National First-Class Performer” by China’s Ministry of Culture, and later honored by the Foreign Ministry for “Outstanding Professional Contribution.” He has recorded soundtracks for over 50 movies and television shows, and is the recipient of numerous accolades. Upon joining Shen Yun Performing Arts in 2006, Guan began studying under Shen Yun’s Artistic Director, learning the world’s most traditional form of bel canto. He now employs the vocal method of Shen Yun Performing Arts—authentic bel canto. Currently, Shen Yun is the only company in the world that has truly mastered this once-lost vocal method. 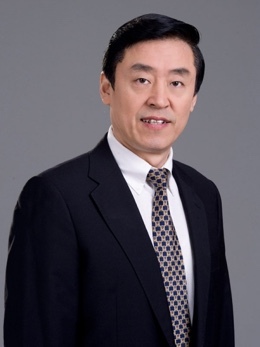 He was a frequent adjudicator for national competitions in China, and from 2007-11 headed the jury of New Tang Dynasty Television’s Chinese Vocal Competition. Min Jiang has had a flourishing career that began at age 17, when she was selected to perform professionally as a featured soloist with the Heilongjiang Province Arts Troupe. 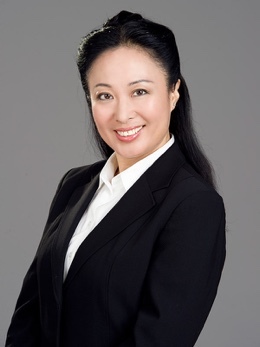 She has received coaching in both Chinese folk singing and Western vocal methods from many accomplished voice teachers, and has been an adjudicator for the New Tang Dynasty Television International Chinese Vocal Competitions since their inception in 2007. Since joining Shen Yun Performing Arts in 2006, she has given over 1,000 performances on many of the world’s great stages. 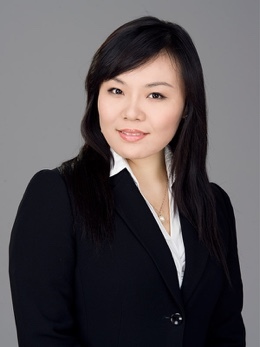 Known for her formidable and emotive voice, Haolan Geng won the gold medal at the First Music Competition of the Guangdong Arts Festival in 2007. A graduate of the Guangzhou Conservatory of Music, her 2008 graduation recital earned her critical acclaim. She later went on to star in the Guangdong Opera Company, and gained international attention in 2009 upon winning first prize in New Tang Dynasty Television’s International Chinese Vocal Competition. Also since 2009, she has been a soprano with Shen Yun Performing Arts. Tian Ge is the Gold Prize winner of the All-China Music Competition (2004), the winner of the Northern California Olympic Arts Festival Vocal Competition (1998), recipient of the Best Musician Award from Armstrong Atlantic State University (1999), second-place winner in New Tang Dynasty Television’s 2008 and 2010 International Chinese Vocal Competitions. 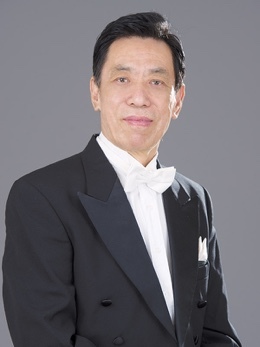 He has been a tenor with Shen Yun Performing Arts since 2008. 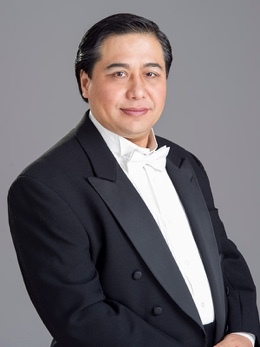 He is a former member of Opera San Jose, and sang lead roles in operas such as Madama Butterfly and Rigoletto. Qu Yue performed in New Tang Dynasty Television’s 2006 and 2007 Global Chinese New Year Gala. He won Honorable Mention in the bel canto male division of New Tang Dynasty Television’s First International Chinese Vocal Competition in 2007. He has toured as a baritone with Shen Yun Performing Arts since 2007. Ida K. Lang Recital Hall Of Hunter College, NYC, U.S.A.
Engelman Hall of Baruch Performing Arts Center, NYC, U.S.A.
Open to Chinese professional singers — including vocal instructors, singers, and students — as well as professional-level enthusiasts, from ages 18–50. To qualify for the competition: After the Panel of Judges has reviewed all of the materials from the applicants, a formal “NTD Television International Chinese Vocal Competition Invitation” will be sent to those who meet the criteria. The contestants may use this invitation to apply for visas and report to the competition. Types of vocal works include Chinese classic songs, arias, and artistic songs. The competition will consist of three rounds: Preliminaries, Semi-Finals, and Finals. The Organization Committee shall provide piano accompaniment for contestants. Contestants may also bring their own pianist(s). Contestants are required to send all vocal scores, lyrics, and accompanying musical scores to the Organization Committee within one week after registration. Contestants must submit all materials postmarked no later than November 3, 2018. Incomplete registration will not be accepted. Mail: 229 W.28th Street, 7th Floor, New York, NY 10001, U.S.A.
Contestants from the Taiwan area can submit video recordings of themselves in order to participate in the competition. The material can be submitted in formats such as DVD, VCD, or digital files. Contestants whose performance is approved upon review by the Panel of Judges can directly enter the semifinals to be held in the United States. The deadline for applying is October 3, 2018. The applicant should fill out and submit the International Chinese Vocal Competition Registration Form as well as the Resume Form; both of which can be downloaded from the Competition’s Website. Each applicant must provide two 1" × 1" color photos (digital photos preferred) and a copy of a valid ID. The applicant should submit the latest recordings of his/her recital (5 minutes minimum) in the format of high quality cassette, audio CD, VCD or DVD (preferably in NTSC format), MP3, or other computer audio files. The VCD or DVD must not be enhanced or edited. The applicant’s information should be clearly marked on the cover of cassette or disk. If the applicant has difficulty in fulfilling this request, please inform the Competition’s Organization Committee. The above application materials should be sent to the Competition’s Organization Committee by registered mail. All application materials shall not be returned. US$120 (including one ticket for the “International Chinese Vocal Competition Finals” in New York). Method of payment: major credit cards, cash, traveler's checks, or money orders. Please make the check payable to New Tang Dynasty Television at the address above. For applicants who require a United States visa, please indicate so on the Registration Form, and pay an additional US$50 fee for the registered express mail for the visa materials. 7. New Tang Dynasty Television is indemnified from any legal responsibility for contestants who enter the U.S. with the visa for this competition but do not appear at the competition. Note: Under normal circumstances, applicant’s registration becomes valid only after he or she has paid the registration fee. For applicants who cannot prepay the registration fee due to special difficulties, they are required to submit a formal written request to delay the payment of registration fee until the time of competition. There will be a US$20 surcharge in such cases. Honorable Mention Awards will also be presented to exemplary contestants. The Competition’s Organization Committee will recommend hotels in New York City. Contestants and their entourage shall pay for their own accommodation and transportation. All contestants shall comply with the Rules and Regulations, as well as all the arrangements of the Competition's Organization Committee. The committee reserves the right to revoke violators' eligibility and the prizes awarded in the case of breaches of Competition regulations. Contestants take full responsibility for any copyright issues related to the music they choose for the Competition. All winners must personally attend the award ceremony to accept the prize. Cash will not be awarded in lieu of that prize. Failure to attend the ceremony results in forfeiture of the prize. New Tang Dynasty Television retains all copyright to audio and video products made during the Competition.